This project was brought to us by a private developer, looking to make a big impact and prove the industry wrong when it comes to high performance and high caliber development! 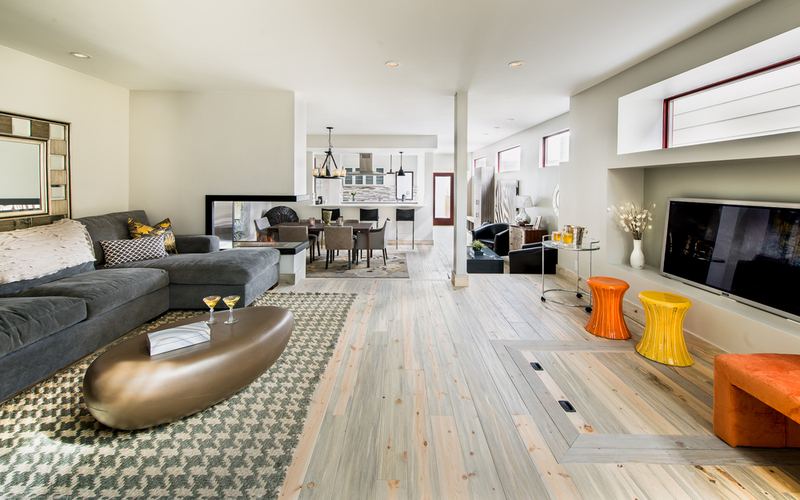 Designed with the future residents comfort in mind. 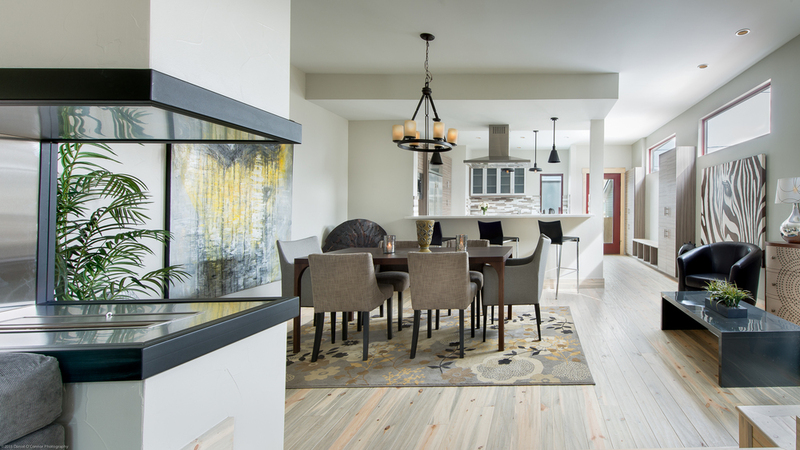 Bringing nature inside, strategically placed triple pane windows flood both levels with natural light while wood finishes bring a subtle warmth to the home. 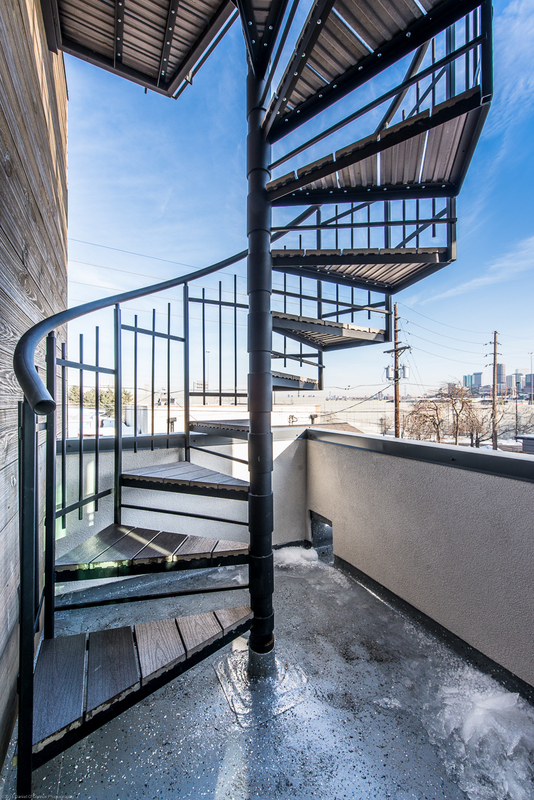 The main floor features an open concept plan from foyer to kitchen, while the second floor incorporates a passive solar 'greenhouse' hallway with a substantial built-in indoor planter, capable of producing food! 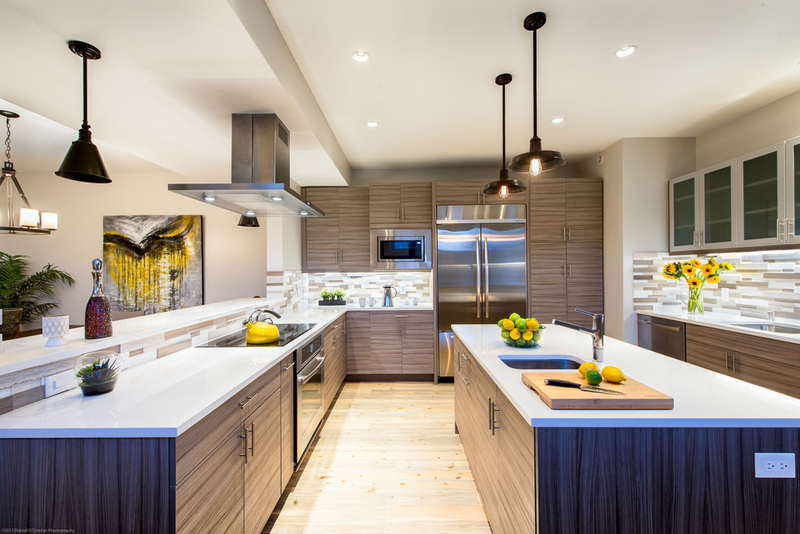 Materiality enhances the crafted spaces. 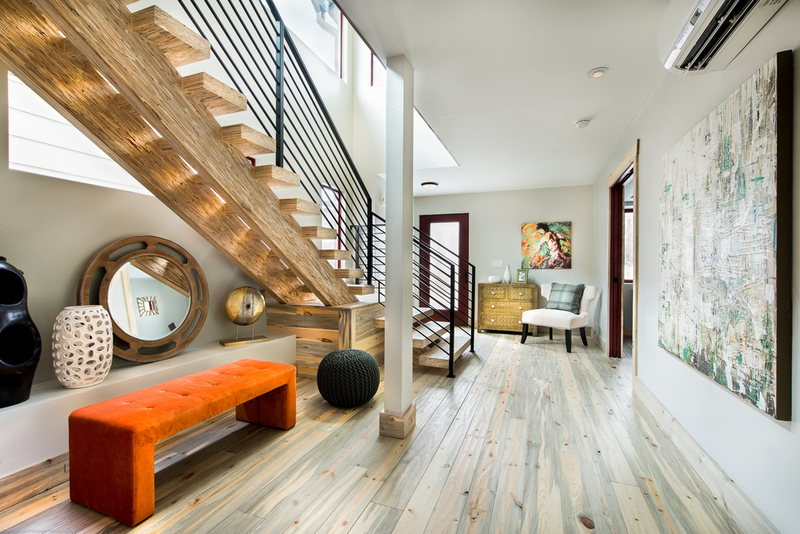 Locally sourced reclaimed Colorado Blue Pine Beetle Kill trim and flooring is incorporated throughout the home. 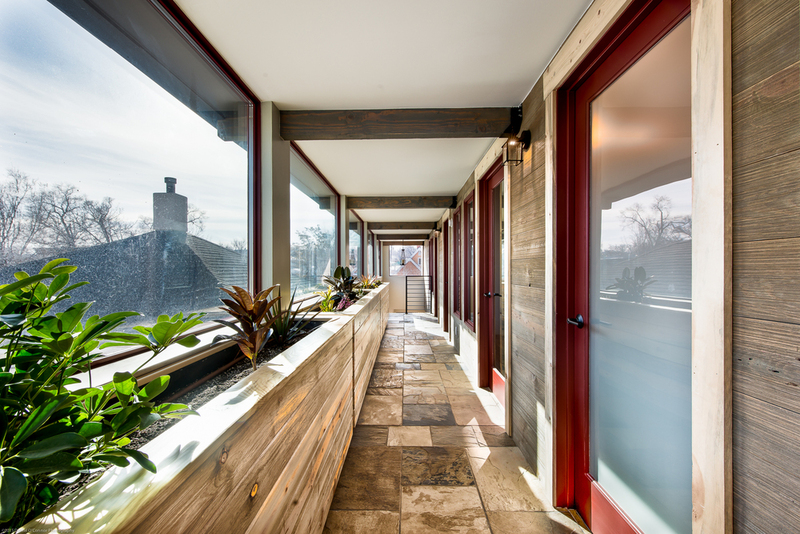 The reclaimed pine portion of the main facade is carried inside along the second floor hallway, combining with the planter, large south-facing windows, and exterior style light fixtures in the hall to further blur the lines between interior and exterior space. 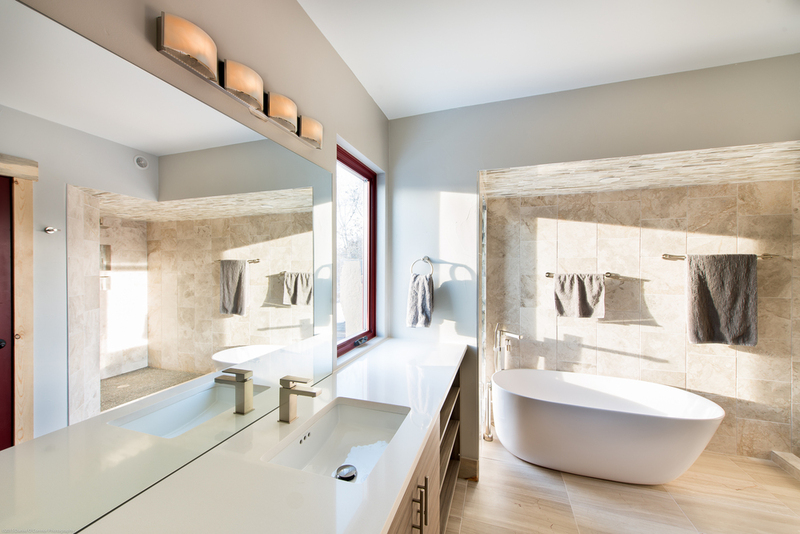 Occupant comfort and high performance was a main priority in the design and construction of the home. The exterior building envelope is constructed out of Structurally Insulated Panels (SIP's), minimizing the thermal breaks that often come with standard framing, and is wrapped with a high performance weather barrier (SIGA), minimizing air infiltration to industry leading lows, this maintains more consistent and regulated interior conditions that require substantially less energy to condition. In lieu of a standard HVAC system, small air handling units, or mini-splits are placed throughout the home to ensure the most efficient and prompt heating and cooling response for residents. 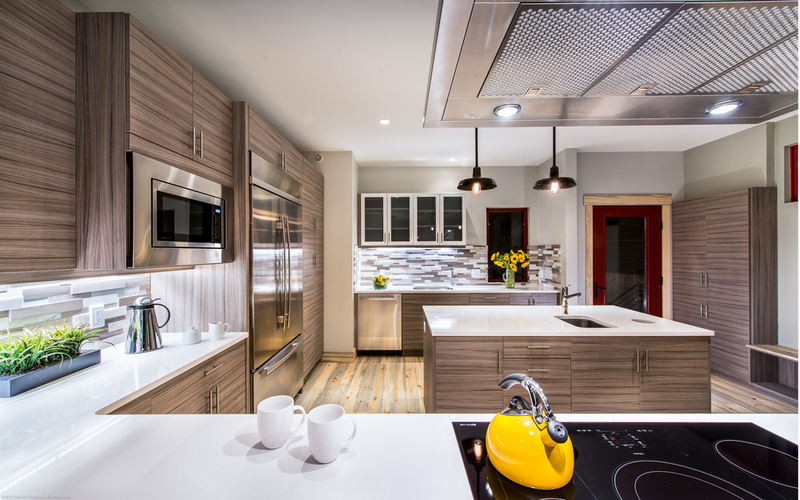 The whole house is equipped with an energy recovery ventilator (ERV) that ensures fresh air throughout, 100% of the time, while minimizing energy loss. 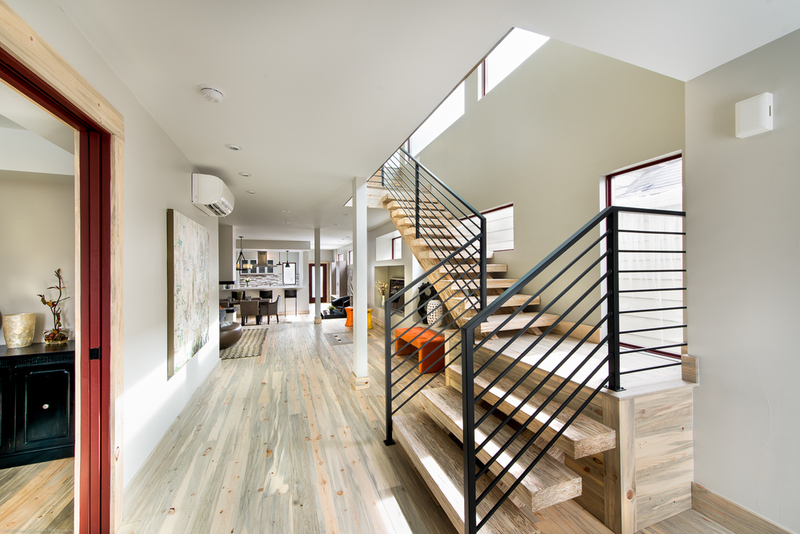 The home is 100% electric, and is specified to carry a smaller scaled solar system that would bring the home to Net-Zero standards. Meaning the residents can live here "utility bills free," if desired. Upon final inspection, this home out-performed expectations and blew a Blower Door of 0.56, achieving even Passive House standards and far exceeding code standards of 3.0 for air tightness in new construction. 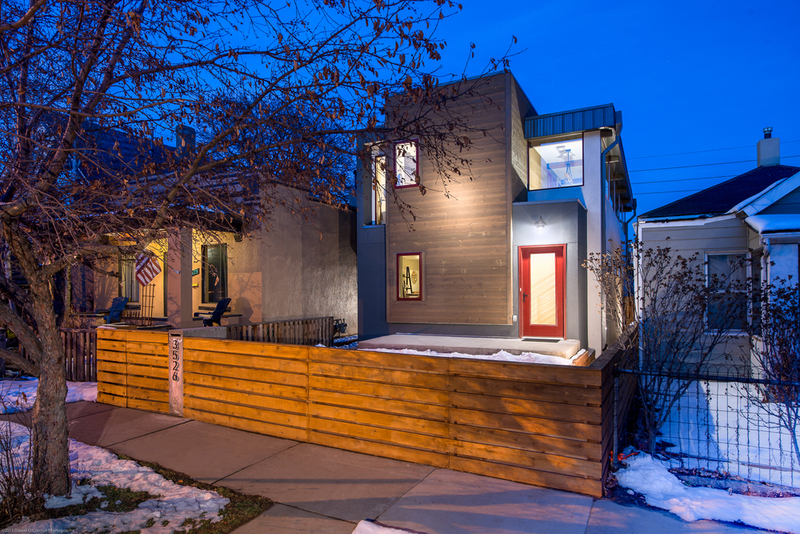 A shinning example of great development, this high performance home was built for a marginal premium coming in at just over $165/SF in construction costs. 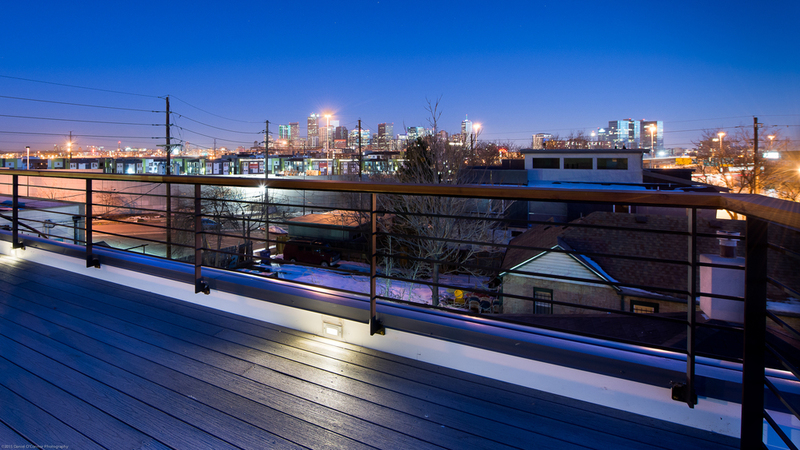 To top it off, the roof is also outfitted with a 300 SF deck with sweeping downtown Denver views and is Energy Star Certified!